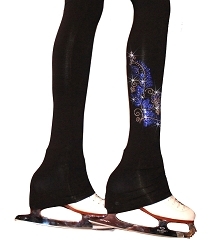 Venetta "Floral" figure skating jackets was inspired by Russian traditional painting technique. 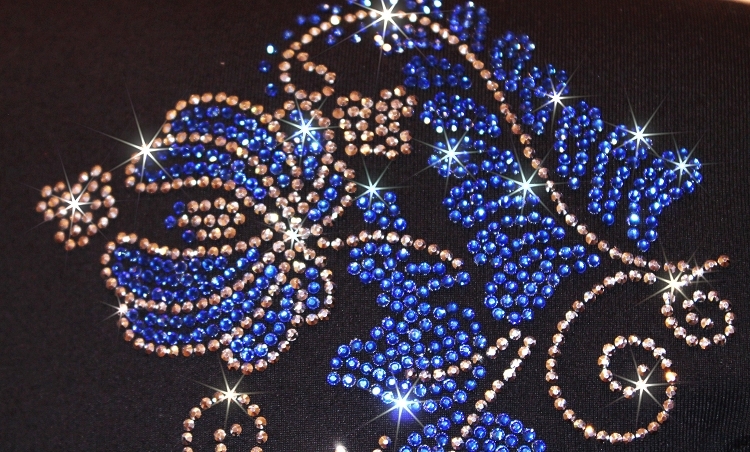 Rhinestone applique sparkles with versatile combination of silver hematite and deep blue sapphire color. 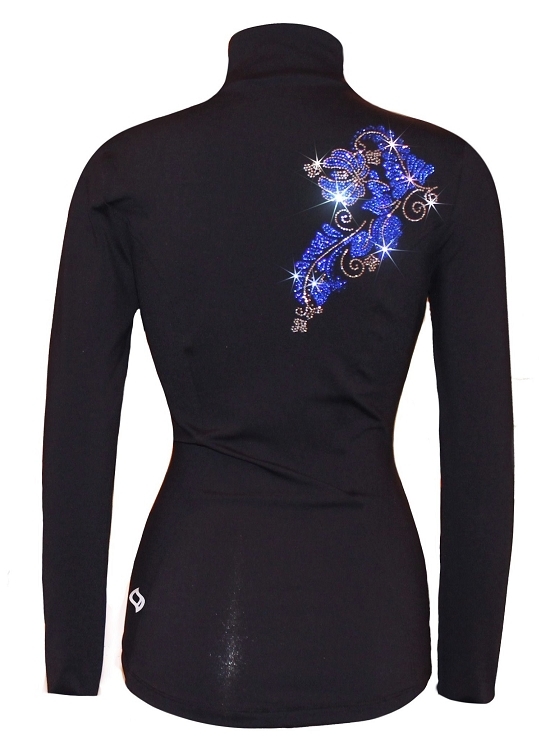 Feminine silhouette and crystals accent creates neat and graceful look on the ice. High performance, four way stretch Supplex Microfiber fabric offering body slimming effect and give remarkable freedom of movement. Breathable, quick-drying properties of the fabric wicks sweat away from the skin. 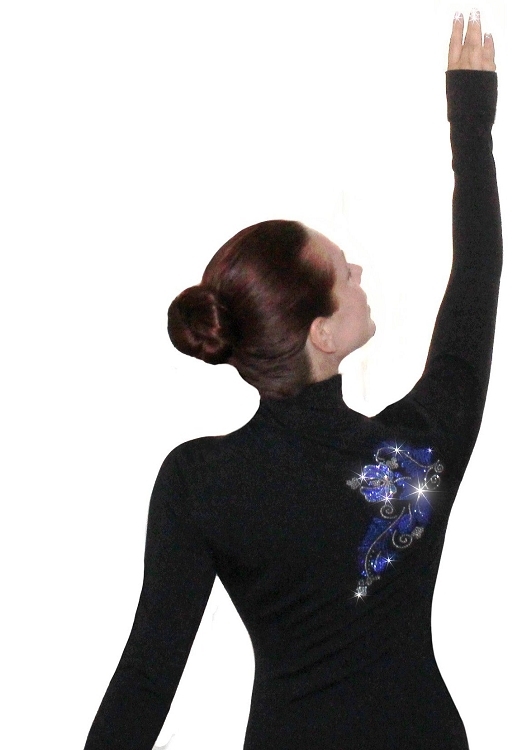 Enjoy figure skating in unique, classy and comfortable ice skating jacket from Ice Fire Skate Wear.